Introduction to the I shope therefore I am trend report. In the I shop therefore I am trend report we are looking into the world of consumer culture from different point of views; ethical, social, political, economical and humanistical. Shopping has turned into a lifestyle. We consume as leisure and a way to pass time. But at the same time many are realizing that the power of consumption is stopping us from finding true and sincere happiness; and that shopping often works as a substitute for something that we’re missing in life. At what point does the accumulation of material goods become less fulfilling and more stressful and overwhelming? It is all about WHAT we buy and WHAT we choose to invest in, the world we live in will be the result of those choices. Today more and more people question the current consumption hysteria. It is clear that everything is getting cheaper – seen to production. At the same time we can see consumption in future super powers such as Brazil, India and China veritably exploding. The consumption of the growing middle class. And what is so strange about that? Nothing at all, it is perfectly normal as those developing countries today have access to the same, international view of the world as everyone else – a world full of products and services. Everything in our society is based upon the idea that consumption should be as easy as possible. …”money makes the world go round…”. We take instantaneous loans via our cellphones and not many minutes of our lives passes by without some kind of commercial message. The message is that we become happy by buying, buying, buying. Often we even consume just for the sake of consuming. As leisure and a way to pass time. Unfortunately our consumption participates in filling our refuse dumps as well as polluting and using up resources. Things, stuff, gadgets, widgets, devices; our homes and our lives are more than full. Up until now it has not been an exaggeration to say “the one who has the most things when he dies wins”. But the power of consumption is being questioned and there’s a change in attitude and way of life. A suitable expression for the future could be “the one with most insight when he dies wins”. Many are realizing that the power of consumption is stopping us from finding true and sincere happiness; and that shopping often works as a substitute for something that we’re missing in life. To clear out and throw things away can create new, positive energy. Sean Penn’s new film “Into the wild” is about a person who goes away into the wilderness as a protest against materialism and social hypocrisy and as a way to find insight and an existential truth. Perhaps it is not necessary to go that far, but maybe it’s time to divide our consumption into good and bad consumption? It would be simplistic to think that we can discard consumption completely. But we do have the opportunity to, through our consumption and our choices, create a better world (one mustn’t forget that the power of the consumer is enormous). It is all about WHAT we buy and WHAT we choose to invest in, the world we live in will be the result of those choices. There is a difference between shopping and shopping. There’s both cool and uncool consumption. One can also put an ethical value in consumption. Is it right to consume as a hobby when 800 million people go to bed hungry? 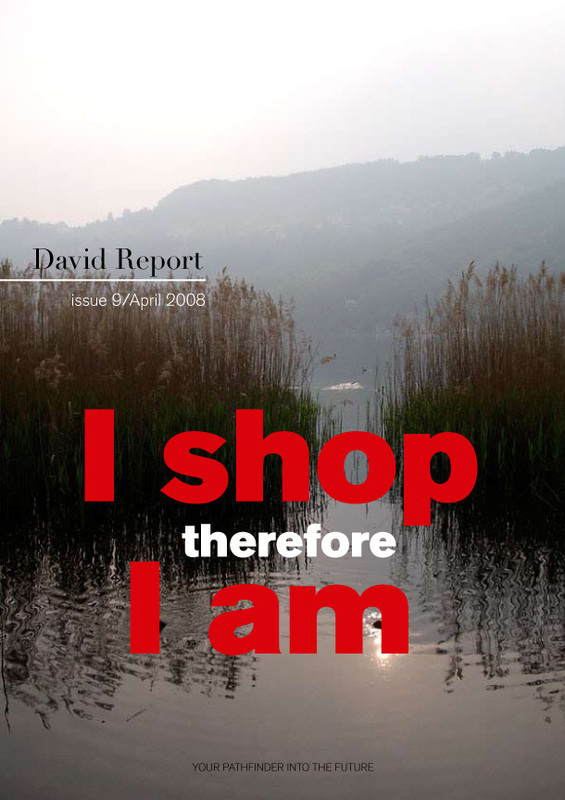 As you see in this issue of David Report we want to highlight consumption from different point of views; both ethical, social, political, economical and humanistic. Consumption is not black or white even though it’s often debated is if it is. Each and every person of course has the right to satisfy his or her basal needs such as nutritious food and a roof over their head. That is fundamental justice and equality for everyone on planet earth. But then what? Are there moral aspects as well that needs to be taken into consideration? Follow us! The word ”consume” often has a negative and fleeting connotation and the digital encyclopaedia Dictionary.com describes it as ”use up, to spend wastefully, to destroy”. Thus the opposite of consumption would be to create, save, make and build. But to consume is at the same time something positive. We consume restaurant visits, theatre shows, travels, education and so forth. Many enriching and life enhancing experiences springs from consumption. To use the word destroy about a wonderful travel, a magical concert or a university degree would be quite wrong. Consumption is quite simply both positive AND negative, from different aspects. Behind consumption there is production. Who runs and who is run? Are companies speeding up development towards creating a global sustainable society populated by happy people, or do they just want us to exchange our belongings in a faster rate so they’ll make more money? Consumption is needed to keep companies alive. Consumption is also needed to keep our earth alive. To believe anything else is naive. The pattern of our consumption is however changing. Many people think twice before accepting the companies invites. The carefully made up aura that each company wants to surround themselves with is slowly fading. We, the consumers, don’t believe in the messages anymore, we are questioning their dream worlds and we’re turning anti-brand and anti-logo. We’re looking for something more, something authentic and real. We want transparency. We want relations with aware producers. Herein lies a new chance for companies to win market shares. Perhaps through a new form of social responsibility, by being more sustainable and socially conscious than what companies in general have been before? Qualities that slowly are growing into hygiene factors. The challenge is for companies to keep up if they’re to survive in the future. But we’re not talking about idealism. The companies are offered a chance to capitalize from peoples wishes to do the right thing and conceptualize sustainability and social responsibility and use it as ”competitive weapons”. It is first when companies see the opportunity to make money that real change will be made – that’s the name of the game. If we as consumers demand better products (and aware producers) we will get it, sooner or later. In our market ruled world changes are made fast if they concern consumption patterns. No matter if it’s a pro-social entrepreneurship or strictly a business initiative we have only seen the beginning of this development. The relation between producers and consumers is important when consumerism is discussed. The “poor” consumers are often portrayed as victims in relation to the exploiting companies. We are however all equipped with a free will and we all contribute. No one is really more of a victim than anyone else. Therefore our choices are important. This free will comes with a responsibility and an obligation, that goes for both consumers and producers. In an ideal world the teamwork between the two goes smoothly. Today however we must unfortunately say that companies often lack knowledge of the market, the surrounding world and of the future. More of them must put energy into this. In many cases they also lack knowledge of strategical and tactic design decisions. This is not good as companies to a large degree affect our choices and our consumption. Many are unfortunately also blasé and choose simple, short term profitable ways. They are simply not able go all the way. Because smart design and innovation doesn’t come easily. It takes time. It takes a big and serious effort to develop products that actually can change our world. But mass produce crap products could any deadpan do…. When the outside world feels unsafe our home becomes the safe haven we all seek, miss and need. To decorate our home therefor becomes more and more important to a growing group of people. It is no longer just a small crowd of people who put time and money into their homes, today “everyone” is interested in interior design. We discuss sofas, curtains and cushions in staff rooms and at dinner parties. We paint, change lighting and put zesty design objects on our windowsills. On David Report we’re getting tired and bored of interior magazines and their reportage’s on identical homes. How much styling can a home take? How many times should one exchange the furniture, the colour of the walls and wallpaper before one is satisfied and at peace? It is an enormous restlessness that is exposed here. A race where the mass medial hunt for the latest new product (just for the sake of being new) drives consumers to buy new. Is it when it comes down to it a meaningless hunt for the newest thing, a race that in the long run has no winner? Do we really need another chair? One thing is certain, we’re living in a true makeover culture. Unfortunately this new interest for interior design isn’t always very responsible. Our homes are filled with things that we do not really need. We are restless and buy more and more cheap products of bad quality. Things with a short life span, both in design and material. At the same time we throw away functioning things. Whatever happened to container finds and thrift stores? Products that could be given a new life and in that way save resources. The designer Satyendra Pakhale nails the problem when he says; “we can’t afford to buy cheap things”. In an attempt to be considered trendy and hip people constantly turn to new, short lived trends. Unfortunately that does not signal awareness but the complete opposite. “Over consumption is no longer a sign of success” as Chris Sanderson of Future Laboratory in London recently commented the current consumption hysteria. We agree. Some quick calls proved that many of the friends of David Report no longer feel satisfied by big cars, flashy watches or a constantly new wardrobe. Because it gives the wrong signals. We don’t want to be consuming goofs, we want to be considered aware and responsible. The group force is hence an important ingredient in our choices regarding shopping. The traditional device of our consumption society “more is always better”, which tells us we can never be happy or satisfied is, to some people, changing into a more aware thought – “less is more”. We on David Report grew up in the seventies, a very political decade. The influence of fashion was debated and strongly questioned. In an exhibition called “The fashion carousel” from 1976, this comparison was made between fashion and interior design; “imagine if…we threw out all of our furniture and bought new each year just because the old ones were out of fashion”. This was a dystopia thirty years ago but now we’ve reached that point! In the seventies the consumption hysteria had not yet come into our homes. Is this constant change of colours and furnishings a new middle class phenomena or could it even be a new phenomena of the working class? That is perhaps a provocative statement but we would like to state that we see the contours of a new class system where the privileged and well off buy environmentally friendly, durable and regionally produced goods while your average Joe is busy with lavish and irresponsible spending on goods “made in China”. High prices and inaccessibility are probably partly the reasons to this. It is a true challenge for producers to to make sustainable design, furnishings, food and fashion inclusive as opposed to exclusive, as it is today. We should all do our best and be a part in the process of turning this negative spiral of todays wear and tear society around. The work of Mathilda Tham include trend forecasting, fashion and sustainable issues. Mathilda has also been working with design, pr and marketing. Mathilda Tham works as professor at Beckmans college of design in Stockholm and teaches about eco-design at Goldsmith college in England. How many pieces of clothing that we never use hang in our wardrobes? You have been talking about a “subscription service”, is it a possible solution to the problem with spontaneous shopping? How come clothes shopping is often portrayed as especially sinful? Fashion epitomises general tendencies in society – such as our bulimic relationship to objects, and disassociation from the reality of people making our products, and the natural habitat. Yet fashion is not only ’bad’. Fashion offers a highly creative means of expression, and a means for making a living for millions of people. As a consumer what should one do if one wants to shop clothes in awareness? More sustainable fashion choices include choosing organic cotton, buying second hand clothes, only buying favourite clothes and washing less. Which road should the fashion industry take; trying to make existing materials more sustainable (such as organic cotton) or invent completely new, synthetical materials? The fashion industry needs to address environmental issues at both product and systems levels. In terms of products, the conversion from convention to organic cotton is one major change, however keeping synthetic materials in the loop, such as recycling PETbottles into fleece is also important. Additionally, we need to look at new, resource efficient, renewable and biodegradable materials – corn starch, soy protein. Could it be that it is sometimes a waste of resource to create fashion/clothes of high quality when we’ll only use it shortly anyway? Durability is an often favoured environmental strategy, however, in the case of for example fashion clothes – which are not discarded because they they no longer work in a material sense, appropriate rather than long lifetimes is better to strive for. For example, if a top is only going to be worn for a couple of times before it ends up in a bin somewhere, producing it from fine organic cotton is a waste. Instead it is wiser to use resources that may be slightly inferior in quality, but are already in the loop. Is there a difference between the terms fashion and clothes? Fashion and clothes are different, although they often coincide. Clothes operate on a material level – to keep us warm, and shelter us against wind and sun. Fashion operates on a symbolical level – we use it to communicate, to express individuality or group belonging. When we discard a fashion item, it is not because it is threadbare, but because it has ceased to communicate what we want it to. We seek inner satisfaction through outer objects. Is this statement true also for clothes? What is it that we’re looking for? Fashion works on several levels. Through the use of fashion we seek novelty, a sense of belonging to a particular group, or to differentiate ourselves. As we mentioned in the introduction text shopping seems to function more and more as a substitute for something that we lack in life. Is it happiness? Because in that case we must ask ourselves if it’s possible to buy happiness; does material things make us happy? No, there are no studies that shows that. Consumption does not contribute to a higher standard of life. The question is if only a good economy and a high material standard of life has made anyone happy? Possibly it comforts briefly and gives a higher sense of self or relief from anxiety, like an expensive drug. A classical psychological symptom is also reflected in our shopping, humans are group animals and will do anything to stay in their group. To be excluded means death and to avoid being excluded people do what all other people are doing, in this case shop! Don’t be different, look like everyone else, do like everyone else etc. This is especially difficult in Scandinavia where we have Jante on one shoulder and Luther on our other. Dalai Lama means that we need an inner peace before we can be happy about outer assets and conditions. This also means that if one has this inner quality one has the ability to live happily even without many of the things that, according to some, are the traditional conditions for happiness; big cars, bling and branded clothing. For many consumption becomes an addiction. Therefore it is important to give oneself time to reflect upon ones life. To not forget that there is something even more important. Something bigger. To be able to do the things you love and are passionate about; to spend time with the family, to have the opportunity to be by yourself (how often does that happen? ), to enjoy nature, eat and drink well in the company of good friends, enjoy art and poetry. Everything is of course individual but the common factor of all these things is TIME. This fleeting object that most people feel they have too little of. The possibility to be in the present, to find balance and harmony. Appreciate what we have and not feel pressured to constantly strive for something new. The ones of us here on earth fortunate enough not having to worry about surviving can instead focus on living, and then take it one step further and start experiencing. What is to each and everyone to decide for themselves. 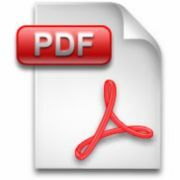 Our contributor Sante Poromaa, teacher at the Zenbuddhist Society in Stockholm has some interesting view on this on the following pages. By Sante Poromaa, teacher at the Zenbuddhist Society in Stockholm. But the difference between the hedonist of the past and those of today is worth to reflect upon. The image of a hedonist in ancient Greece is perhaps the one of a person, laying on a daybed, sipping a good wine and listening to divine music. The hedonist of today however, has not time for that. He’s rushing ahead in a fast car, listening to his MP3 player while talking on his cellphone. Today we’ve convinced ourselves that the more we can fit into the moment, the more meaningful it becomes. Our simultaneous capacity is stretched to it’s fullest and in our inner sphere numerous different voices now live, fighting for space. We want to do so much, see so many things, live so much more. SMS, MMS, Java and Bluetooth. DVD and MP4. They’re all fighting for a place in our inner sphere, now known as MySpace.com. Our inner sphere, the place where we are free and present, lucid and attentive has been occupied by demons fighting a war for our attention. Most of these demons come from the special hell known as the Market. The truth is that modern life demands a lot more from us than we have time for. The only solution is to do many things at once, to pay attention to many different voices at the same time. The effect of this “multitasking” is a sense of disharmony, or what the writer Saul Bellow described as “an unbearable state of distraction”. This state of disharmony is perhaps the most distinguishing feature of our time. The feeling of having too many forces fighting for our attention and demanding something of us is causing more and more of us to live with a constant feeling of not “having enough time”. As if everything was going faster and faster. The paradoxical effect of trying to fit more life into each moment is that we never seem to be quite in it ourselves, the moment we want to enjoy is the place and time where we are not. “Life is what happens while making other plans” John Lennon sang. Life goes on while we are someplace else. At the same time this extreme disruption has had another effect as well. It has made us bored. We can’t stand long pieces of music anymore but prefer “classical favourites in short version”. While watching films from the fifties and sixties we feel an almost subconscious urge to fast forward through the “dead time”. Impatience and a disability to do nothing is the result. We all, compared to older generations, suffer from attention disorders. In other words we have become addicted to our own simultaneous capacity and constantly demand new impressions, just as a junkie needs his fix. In the fifties, before television, an entire family could sit at home and listen to the radio. Just listen. Without cleaning or talking on the phone or play video games at the same time. Just sit silently and listen. Nowadays we rarely give something our full attention. We may give the radio twenty or thirty percent, hardly more. It is more and more common that we call someone to talk and hear how the person on the other line is simultaneously tapping on their keyboard, perhaps answering mails or just surfing. Radio producers today are of course aware of this disharmony and no longer communicate with us as adults, intelligent and independent individuals. Instead they’re fooling around and being silly, preferably as loud as possible since they know that that is the only way to catch at least a fragment of our attention. Conclusively one can say that our modern hedonism and shopping frenzy has given our lives, not more life, but these side effects: we have become disharmonious and stressed. We have lost touch with our inner clarity. We have lost our ability to concentrate and are easily bored. We’re practically never completely present. And the things that are supposed to entertain and feed our minds – books, theatre, music, movies have become shallower and louder, less serious. The finer shades of life has been lost. Our inner, mental room has been sold to the market forces. The consumption demons runs our lives. We are the losers. Zen masters have a completely different idea of how to live life. In Zen we admit that the moment is all we have. To a Zen master the present isn’t a piece of time in between the past and the future – there to be filled with as many “experiences” as possible. It is instead “an eternal spring”, an infinite place outside of what we call time and space. Release from sufferance and dissatisfaction is, according to this ancient wisdom, about learning how to live consciously. To live consciously is to live now. Not by filling the moment with more but by being completely present. Not to constantly divide our minds and chase after only that which gives us pleasure, but learning how to find pleasure in what one does. In the future it is therefor likely that more and more people willingly will give up shopping. Choose to live simple, or at least avoid the excess. Not because of an ascetic wish for self-sufferance, but from realising that happiness cannot be bought. An international movement about Downshifting (in the US also known as Voluntary Simplicity) is growing rapidly. It is about taking control over one’s life and not following the stream. Freedom. Decrease consumption, work less and have more leisure time – about not detouring through money to live a happy life. Inner peace and fulfilment over wealth, status and power. The trend expert Faith Popcorn describes this trend like this; “It’s not about coping out, or dropping out or selling out. It’s cashing in the career chips you’ve stacked up all these years and going somewhere else to work at something you want to do, the way you want to do it”. The Downshifting-movement does not tell us we should stop consuming all together, that would be like stop eating while on a diet, you couldn’t survive. But perhaps it’s possible to share the car and the lawn mower with the neighbour. Or perhaps even borrow things from each other and at the same time gain a social contact. We mustn’t forget that besides from costing money consumption also steals time. The average American spends six hours per week shopping. On top of this material managing is another side effect of our consumption. In Sweden parents that live together has increased their income with approximately thirty percent over the last thirteen years, inflation disregarded. Hence we could, if we went back to the standard of life we had in 1995, have thirty percent more leisure time, in principle. The Downshifting-movement is sometimes criticised for being elitist as many of its followers are well educated middle class people. You have probably read articles about people quitting top jobs in the business world because they feel they’ve lost control of their lives. But it can also be as simple as choosing to work from home instead of from nine to five in an office. Life is about making choices, aware economy or shop til you drop? The goal is not the most important thing, it’s the means to get to it. We shall not quit consuming, but begin to consume in a new, more aware fashion. To take responsibility through shopping is the way to do it. Regardless if we base our decisions on intellectual or sentimental values how we consume will clearly state which social class we belong to. Today we can detect a similar change in our consumption patterns as we’ve earlier seen with smoking (remember the glamour that surrounded smoking just a few decades ago) or overweight (half a century ago it was a sign of success to be fat – the picture of an overweight director). In the future consumption will be more about experiences and services than things. Traditional luxury consumption, as we define it now, will not provide the same status in the future as it does today. If one seeks attention money is better spent (if you necessarily need to spend them) on something useful. Something that will benefit many people. Perhaps in the future giving will be more important than having. Are the companies, who survive on our consumption, prepared for this transition? Perhaps we shall also buy fewer but better products, aim for quality (both in material and design)? True sustainability is achieved first when we keep the things that we buy. It could because we’ve become emotionally connected to them, because they’re special and has a special meaning to us or because we saved up to be able to buy them, or perhaps even that they were difficult to get by. If we still want to get rid of them it is important that the products can be given away or put back on the market, preferably unaltered to save material and energy. Defenders of consumption are however not the least worried about the social and environmental problems caused by our consumption. Their motivation being that innovation and new technical solutions will save us. What do you think? As thinking individuals we also have a responsibility to make sure the people who produce the goods we buy are paid properly, and that they live in an environment not destroyed by the production. Today people love price hunting. But we nee to think twice before buying a three euro t-shirt in a low price store. A product that cheap cannot be produced in a way that is okay. And what does the notion cheap mean? The thing that at the moment can be obtained for a small amount of money may very well turn out to be very expensive, in the long run. Both because of it’s effect on the environment and your wallet, as you will have to buy it again and again. That is the reason to why it’s often better to aspire to buy products that are priceworthy, instead of just cheap ones. Kristina Dryza is a trend forecaster whose exposure to global consumer trends and cultural knowledge leads her to bring the experiential and forward looking aspects of design to the projects. She recently started KRLT studio, a conceptual design studio based in Vilnius, Lithuania. The first products from the studio is a luxury fashion collection based on the regional heritage. Sometimes with our purchases we seek fulfillment, other times authenticity, and at other moments, knowledge. When we’re in pure acquisition mode it’s just about ‘getting the stuff’. Dependent on our mood whilst consuming, we can be in an authoritative state and so demand proven and recognised sources and services, or we can be in a meditative state, and so want our purchases to bring us greater emotional wellbeing. More and more consumers are becoming increasingly inquisitive with their purchasing power and are demanding to know the provenance of products. Today, a silent question of ‘what is the process of this product having come before me?’ is very common. These inquisitive consumers have such a strong comparative awareness, so are always demanding the back-story of products as they’re so well versed in the power of the first person narrative. Being a connoisseur, learning about products – going above and beyond – to find out the nuances of a product’s details, as well as being able to regale a product’s timelines and history means the quest for knowledge is sometimes more important than the product. Knowledge of subject is key. More and more consumers want to be experts in the food they eat and the places they go. ‘Insider tips’ take on greater importance as this group want (and need) to know about special products and destinations. For those at the top of the consumption pyramid, conversational currency and access – something money can’t buy – take on an even greater value. Discerning consumers also want quality at all levels – both of life and of products and services. They have the time and money to be discriminating and informed. Those in the west who don’t have to worry about shelter and food, are seeking choices that help them live better, rather than have more. They are seeking the best from life. Not just the best product choice. Their desire for personal enrichment and value connected sensations goes beyond a commodity. For these consumers luxury is a state of mind. It is not a designer handbag. But for many, luxury (in all its various guises and meanings) has become an expected tangible byproduct of consumption. For those free from obligation, luxury as such, is all about a way of life – a style of living. These consumers define value on their own terms and have intrinsic, individually ascertained value systems. They have defined their own success criteria, rather than following the ones placed on them by society. These consumers have a sophisticated lifestyle palate, so for them the personal touch becomes increasingly important. They want engaging, exclusive, emotional, personal experiences. Their desire for experience is often greater than their desire for product. 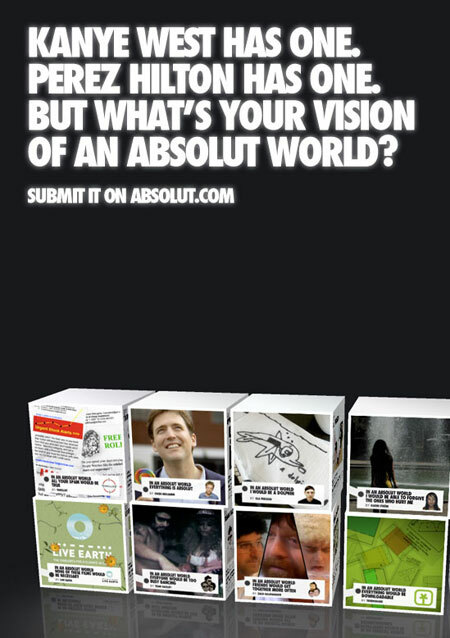 As a matter of course, they expect brands to deliver the ’end to end’ experience, and to understand them as individuals. For this consumer group, it’s crucially important to be known, and to be understood. Just think of the lyrics from the TV sitcom Cheers: ‘where everybody knows your name’. Therefore the staff that cater to this consumer segment have to be charm personified – a million fold. Luxury brands are very good at selling us ‘parts’ of the luxury lifestyle: first class travel, bespoke fragrances, and atelier worthy chocolate creations. But by accumulating all the parts, we believe they’ll somehow fit into a perfect whole. But in reality, the whole is the beginning. It has to be the starting point. Otherwise you’re trapped in the vicious cycle of always needing the next ‘part’. You’re starting with incompleteness – so it always feels like there’s a piece missing. The whole must be – and is – the sense of self from whence the journey begins. Consumers in emerging markets though want to know ‘what’s next’ and new, and spend their time franticly acquiring tangible material milestones. The luxury experience for them is derived from the possession. But the question to ask is: do our purchases fulfill us? Well yes, sometimes they can. But not always. And they shouldn’t – and can’t – always fill us up emotionally. There have to be other things in our lives that we turn to (as well as looking within) that give us the experience of appreciating our true selves. The trick is to be content with what you have. Nothing more, nothing less. The ‘having more’ usually doesn’t give you that much more extra life enjoyment anyway. It’s through pausing and taking time for self reflection (as we spend so much of our lives going through the motions) that we remember the true joy of living. As Professor Arlie Russell Hochschild of The University of California, Berkeley wrote: “Constant busyness is the most potent opiate of the masses”. We need to build in periods of reflection to increase our consciousness. As spiritual leaders say, we need to remind ourselves that we’re spiritual beings having a human experience, and not human beings having a spiritual experience. The ‘always on’ 24/7 mentality, and the achievement culture of always chasing the bigger, better deal; together with the pressure to maximise idle time means many of us are becoming prisoners of efficiency. More and more of us want to slow down and have more mindful connections to all that it means to live. As defined by the slow movement this means richer relationships with people, the pleasure of eating well, greater knowledge of our cultural heritage, and a greater connection to ourselves, and to our own movement and rhythm through life. Maybe in the future the most sought after purchases will be the ones that create ‘moments of time’ for reflection. That a mindful presence will become the ultimate lifestyle accessory. And that a product’s core benefit is that it puts you in a meditative state of mind. One thing’s for certain, this constant and acquisitive nature of consumption is emotionally unsustainable. Our consumption grows in the same pace as our growth. Studies shows that in hundred years we consume eight times as much per capita as today. One thing is certain: we cannot continue consuming as we do today – our globe simply cannot take such a strain. In west many has a relative abundance of money which could give us more leisure time as well as reduce our stress level – yet we choose to consume more. How much is enough? At what point does the accumulation of material goods become less fulfilling and more stressful and overwhelming? Studies shows that we are satisfied and happy with enough (see image). Our consumption in the beginning of the curve is based on use, the higher on the curve the more our consumption is about entertainment. After we’ve reached the “enough” level, we don’t become happier, the curve evens out and after a while it starts plummeting. Do we really need more and more things when we know that over consumption doesn’t make us happy? Socrates asked, a long time ago; “how shall we live?”, maybe it’s time for each and everyone to finally answer his question….